Sony's Spider-Man: Into the Spider-Verse hasn't even opened yet and already they are moving forward on not just one sequel, but a spinoff, as well. And again, these sound like plans they had to expand their Amazing Spider-Man franchise back in the Andrew Garfield days. THR reports that Joaquim Dos Santos, best known for his work on Netflix's Voltron and Avatar: The Last Airbender, has been hired to direct a sequel to Spider-Man: Into the Spider-Verse. The original film opens next month and already has a ton of early buzz (I've seen it and can't wait to share my thoughts), which may explain why Sony is so keen to capitalize. Presumably, this means a story continuation for the Miles Morales version of Spider-Man and the cast of alternate dimension Spideys he teams up with. The other and more surprising part of the story is an animated spinoff featuring multiple female Spidey characters. Bek Smith (Zoo) will write the script, and while it's not made clear it will probably center on the Spider-Gwen character voiced by Hailee Steinfeld. You may recall back before Sony struck the deal with Marvel they had begun developing an all-female Spidey film. That was revived somewhat with the recent Silver Sable/Black Cat project which is in limbo right now. 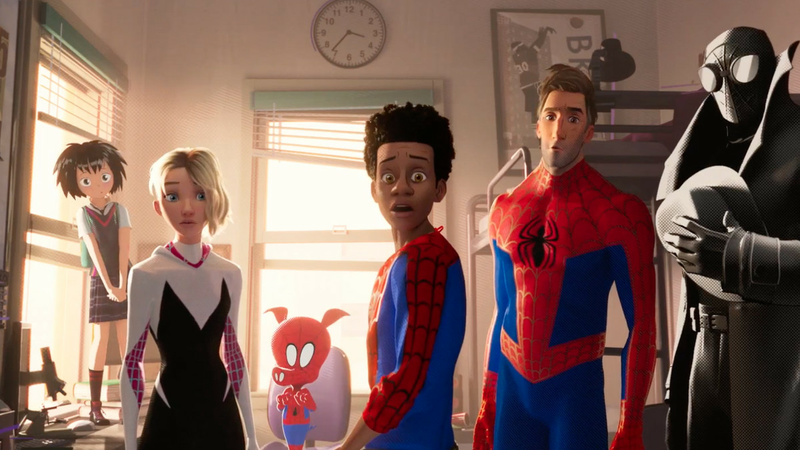 Phil Lord and Chris Miller, who were the brains behind Into the Spider-Verse, are expected to return in a creative capacity, but nothing official has been set. If the film turns out to be a hit the way I predict it will, Sony will have set themselves up for a long and lucrative run of Spider-Man spinoffs.